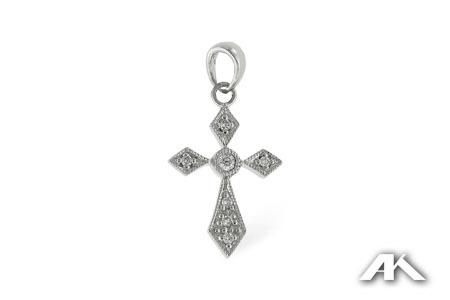 Delicate with a vintage style, this cross features milgrained edges and a surface of prong set diamonds. 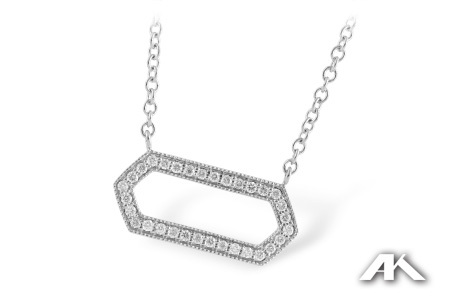 The pendant hangs from a small smooth bail. 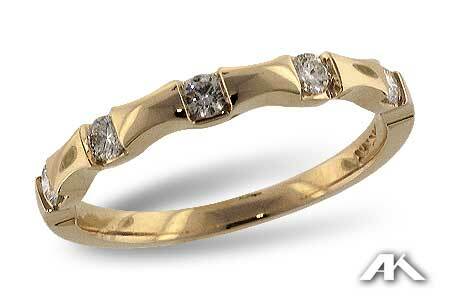 This cross can also be made with 14k yellow gold. 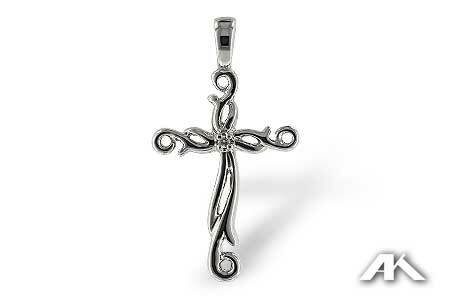 This cross does not include a chain; please call or email us if you’d like advise on available chain options.